ArtworldNow visits Goldsmiths' Fair 2015 from ArtworldNow on Vimeo. Julia Peyton-Jones, Director of the Serpentine Galleries, guest curates Julia Peyton-Jones Selects, a showcase of 23 personal highlights from this year’s Goldsmiths’ Fair. The UK’s premier exhibition of fine contemporary jewellery and silver takes place at London’s Goldsmiths’ Hall from 22 September – 4 October. “Colour, form, texture and the making process play key roles in both the contemporary jewellery and silversmithing world as in much of contemporary art. Like the world’s most exciting artists today, the skilled designer-makers at Goldsmiths’ Fair are constantly pushing boundaries to bring exquisite new works to the discerning public,” said Peyton-Jones. The display includes Bra-celet, a gold plated silver bracelet with two shapely domes by Italian jeweller Mara Irsara. 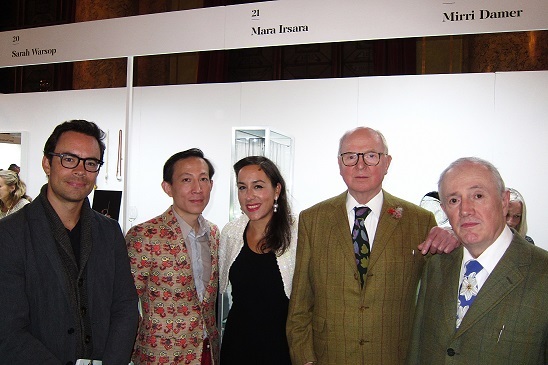 Exhibiting at Goldsmiths’ Fair for the second time, Irsara, niece of Gilbert Proesch from renowned artist duo Gilbert & George, places wit and playfulness at the centre of her practice. 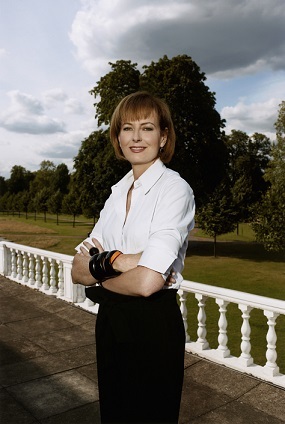 Julia Peyton-Jones Selects builds on Zaha Hadid Selects, which last year introduced guest curators to the Fair’s exciting programme of events.